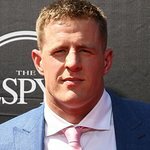 YouCaring, the world’s trusted leader in free crowdfunding for personal, medical, and charitable causes, has announced that Houston Texans defensive end JJ Watt’s Houston Flood Relief Fund reached $10 million, officially becoming the largest and fastest-growing charitable crowdfunding campaign in the industry’s 10-year history. JJ Watt kicked off the campaign on Sunday afternoon with a personal contribution of $100,000. 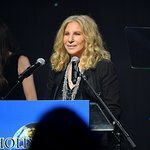 With the help of over 100,000 donors across the US, including recording artist Drake, who issued a video message of support to the city, Tom Brady, Ellen DeGeneres, Walmart, Tennessee Titans owner Amy Adams Strunk and Houston Rockets’ Chris Paul, the campaign surpassed its initial $200,000 goal in less than two hours, and has now surpassed $11 million. The vast majority of donations are under $100 each from Americans across the country. As a certified B-Corporation with a focus on helping people faced with hardship, YouCaring does not take a cut of each donation, but instead relies on voluntary donor tips to fund operations. In addition to JJ Watt’s campaign, YouCaring is now supporting over 1,000 active Hurricane Harvey relief fundraisers. Watch a video timeline of the JJ Watt campaign. Click here to donate to his fundraiser and support the victims of Hurricane Harvey.